**FREE CARFAX AT GENTRYMOTOR.COM**, ***ANOTHER GENTRY 1-OWNER VEHICLE***, ***4 WHEEL DRIVE***, ***BLUETOOTH HANDS FREE MOBILE***, ***FULLY INSPECTED AND SERVICED***, **** OVER $4,000 IN EXTRAS ****, **** READY TO PLAY! ****, *** HARD TO FIND ***, 17" x 7.5" Aluminum Wheels, Auto-Dimming Mirror w/Reading Lamp, Chrome/Leather Wrapped Shift Knob, Deep Tint Sunscreen Windows, Front 1-Touch Down Power Windows, Leather Wrapped Steering Wheel, Power Convenience Group, Power Heated Mirrors, Power Locks, Quick Order Package 23S, Remote Keyless Entry, Security Alarm. 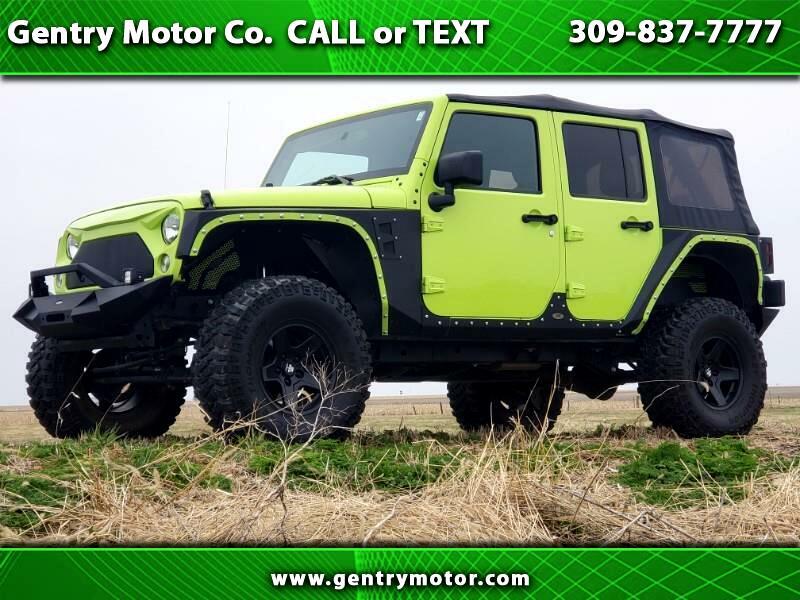 Hypergreen Clearcoat 2017 Jeep Wrangler CARFAX One-Owner. Clean CARFAX. Odometer is 6103 miles below market average! Helping your Friends and Neighbors everyday Since 1989! Make YOUR Deal Today!! !